Rich warm walnut tones. 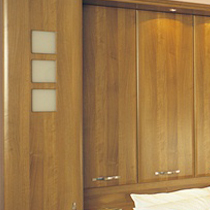 Perfectly balanced with designers features, ensure that walnut leads the way in current decor trends. 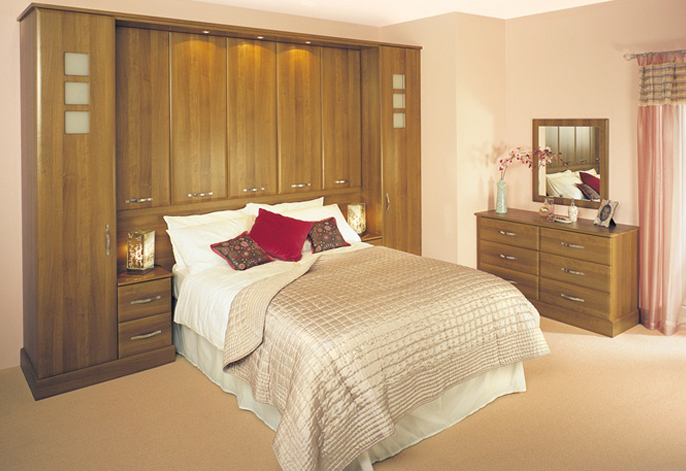 Elegent handles, recessed lighting and frosted glass feature portholes enliven the distinctive styling in bedroom furniture. 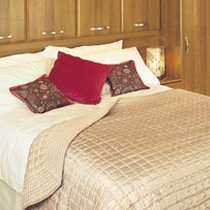 This is one of the made to order bedrooms. 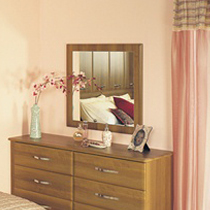 It is available in a wide range of colours and around 50 different styles.